At House of Printing, we offer a wide variety of printing services to suit the needs of our customers. Our services help customers create everything from beautiful business cards to annual reports and brochures. Among our services, we offer both digital printing and offset printing to choose from. In this blog, we’ll outline the differences between the two, so you can better decide which printing option is best for your business. Whatever project you are looking to start, our print shop has high-quality paper, ink, and equipment, as well as customer service support that will ensure the process is smooth and efficient from start to finish. To make completing the project even easier, we provide free delivery to the Washington and Baltimore areas. Offset printing is old-school style printing. It is the most common style for high-volume commercial print jobs. If you picture a newspaper being produced, that is offset production. When you use offset printing, the printer burns the design onto metal plates, each designated for a color. When printing, there are four colors typically used: cyan, magenta, yellow, and black. However, when offset printing, custom colors can be used. After that, the design is moved from plates to rubber rolls, and the colors of ink are spread onto the rubber and paper is run between them. The paper moves through all the different rolls, which layer on the color and produce the final image. Offset printing provides accurate color reproduction and clean-looking printing. Offset printing produces consistent image production. This type of printing is reliable in terms of the quality of the print. You don’t need to worry about spots or streaking. Because offset printing can mix custom color inks, it is going to get the colors right naturally. It works well with any kind of material. It is more cost efficient than other types of printing. This type of printing is a large investment upfront in order to create the plates. But once that initial cost is out of the way, you are ready to print and will spend less on large jobs than digital printing. Digital printing obviously doesn’t use aluminum plates. Instead, the image being printed is transferred digitally from a computer to the printing machine. The digital printer uses electrostatic rollers to apply toner to sheets of paper. It is a similar process to inkjet printers. 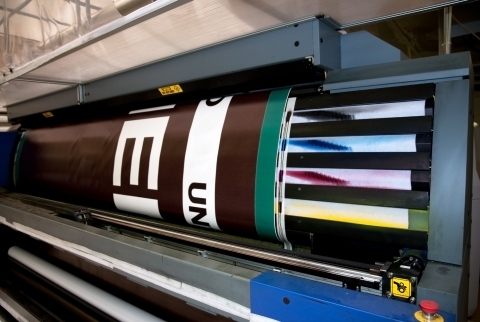 For every color used in digital printing, a different roller must be used. Digital printing is traditionally used for projects with a lower volume of copies. With digital printing, set up costs are lower for short print runs. Digital printing allows you to print only what you need, when you need it. It’s ideal for quantities of around 1-50 copies. Information that varies, like names, addresses, codes, or numbering, can be inputted easily. Digital printing is more accessible due to advanced technology. It has a faster turnaround time. Each print is the same. There is no risk of water and ink imbalances spotting or smearing the page. At House of Printing, we offer both offset and digital printing services for any need. Our print shop makes it easy and cost-effective to get high-quality prints with beautiful color. For our offset printing, a “perfector” applies ink to both sides of the paper in one run. This makes our offset printing more efficient. Contact us today for a quote.